HAMILTON, Bermuda, Oct. 18, 2011 /PRNewswire via COMTEX/ — Platinum Underwriters Holdings, Ltd. PTP +2.18% today reported a net loss of $53.5 million and a loss per common share of $1.43 for the quarter ended September 30, 2011. The results for the quarter include net premiums earned of $166.8 million, net favorable development of $27.8 million, net investment income of $29.8 million and net realized gains on investments of $7.5 million. The results also reflect the net negative impact of $112.4 million from major catastrophe losses, net of retrocessional coverage, reinstatement premiums and taxes. Michael D. Price, Platinum's Chief Executive Officer, commented, "Our net income was adversely affected by natural catastrophe losses, particularly those arising from greater than expected claims activity from earthquakes in Japan and New Zealand earlier this year. However, our book value per common share grew by 1.8% in the quarter to $46.26 as of September 30, 2011, reflecting strong investment results on a total return basis and favorable non-catastrophe reserve development." Mr. Price added, "2011 has been a difficult year at Platinum with international catastrophe losses well in excess of our expectations. Nevertheless, we remain strongly capitalized and stand ready to seize on good reinsurance and investment opportunities." Net loss was $53.5 million and the loss per common share was $1.43. Net premiums written were $177.1 million and net premiums earned were $166.8 million. GAAP combined ratio was 145.6%. Net investment income was $29.8 million. Net realized gains on investments were $7.5 million. Net loss was $53.5 million compared to net income of $93.7 million. Net premiums written decreased $22.3 million (or 11.2%) and net premiums earned decreased $16.6 million (or 9.0%). GAAP combined ratio increased 77.5 percentage points. Net investment income decreased $1.3 million (or 4.2%). Net realized gains on investments decreased $36.9 million. Net premiums written for Platinum's Property and Marine, Casualty and Finite Risk segments for the quarter ended September 30, 2011 were $101.6 million, $72.7 million and $2.8 million, respectively, representing 57.4% , 41.0% and 1.6%, respectively, of total net premiums written. Combined ratios for these segments were 206.2%, 81.7% and 93.8%, respectively. Compared with the quarter ended September 30, 2010, net premiums written decreased $13.3 million (or 11.5%), $7.7 million (or 9.5%) and $1.4 million (or 33.0%) in the Property and Marine, Casualty and Finite Risk segments, respectively. Net loss was $231.1 million and the loss per common share was $6.18. Net premiums written were $497.8 million and net premiums earned were $522.1 million. GAAP combined ratio was 156.1%. Net investment income was $96.1 million. Net realized gains on investments were $3.2 million. Net loss was $231.1 million compared to net income of $233.2 million. Net premiums written decreased $100.8 million (or 16.8%) and net premiums earned decreased $72.9 million (or 12.2%). GAAP combined ratio increased 76.8 percentage points. Net investment income decreased $7.9 million (or 7.6%). Net realized gains on investments decreased $96.1 million. Net premiums written for Platinum's Property and Marine, Casualty and Finite Risk segments for the nine months ended September 30, 2011 were $267.8 million, $222.4 million and $7.5 million, respectively, representing 53.8%, 44.7% and 1.5%, respectively, of total net premiums written. Combined ratios for these segments were 222.1%, 82.3% and 90.7%, respectively. Compared with the nine months ended September 30, 2010, net premiums written decreased $67.9 million (or 20.2%), $24.3 million (or 9.8%) and $8.5 million (or 53.2%) in the Property and Marine, Casualty and Finite Risk segments, respectively. Total assets were $4.7 billion as of September 30, 2011, an increase of $133.7 million (or 2.9%) from $4.6 billion as of December 31, 2010. Fixed maturity investments and cash and cash equivalents were $4.3 billion as of September 30, 2011, an increase of $111.0 million (or 2.6%) from $4.2 billion as of December 31, 2010. Shareholders' equity was $1.7 billion as of September 30, 2011, a decrease of $168.5 million (or 8.9%) from $1.9 billion as of December 31, 2010. Book value per common share was $46.26 as of September 30, 2011 based on 37.3 million common shares outstanding, a decrease of $3.94 (or 7.8%) from $50.20 as of December 31, 2010 based on 37.8 million common shares outstanding. The Company did not repurchase any common shares during the quarter ended September 30, 2011. During the nine months ended September 30, 2011, the Company repurchased 762,000 common shares for approximately $33.9 million at a weighted average cost, including commissions, of $44.50 per share. The Company also purchased 2,500,000 options held by RenaissanceRe Holdings Ltd. for $47.9 million on January 20, 2011. Platinum has posted a financial supplement on the Financial Reports page of the Investor Relations section of its website (Financial Supplement). The Financial Supplement provides additional detail regarding the financial performance of Platinum and its business segments. Platinum will host a teleconference to discuss its financial results on Wednesday, October 19, 2011 at 8:00 a.m. Eastern time. 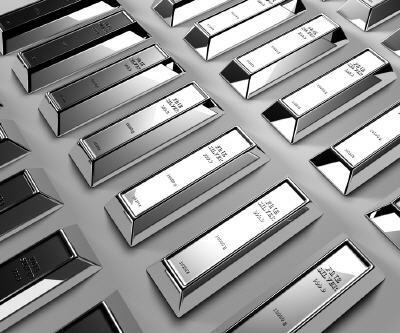 The call can be accessed by dialing 800-656-7435 (US callers) or 913-312-1430 (international callers), or in a listen-only mode via the Investor Relations section of Platinum's website at www.platinumre.com . Those who intend to participate in the teleconference should register at least ten minutes in advance to ensure access to the call. Please specify passcode 2945025. The teleconference will be recorded and a replay will be available from 11:00 a.m. Eastern time on Wednesday, October 19, 2011 until midnight Eastern time on Thursday, October 27, 2011. To access the replay by telephone, dial 888-203-1112 (US callers) or 719-457-0820 (international callers) and specify passcode 2945025. The teleconference will also be archived on the Investor Relations section of Platinum's website at www.platinumre.com for the same period of time. In presenting the Company's results, management has included and discussed certain financial measures that are not calculated under standards or rules that comprise accounting principles generally accepted in the United States (GAAP). Such measures, including segment underwriting income (or loss), related underwriting ratios and book value per common share, are referred to as non-GAAP. These non-GAAP measures may be defined or calculated differently by other companies. Management believes these measures, which are used to monitor the results of operations, allow for a more complete understanding of the underlying business. These measures should not be viewed as a substitute for those determined in accordance with GAAP. A reconciliation of such measures to the most comparable GAAP figures such as income (loss) before income taxes and total shareholders' equity is presented in the attached financial information in accordance with Regulation G.
Platinum Underwriters Holdings, Ltd. PTP +2.18% is a leading provider of property, casualty and finite risk reinsurance coverages, through reinsurance intermediaries, to a diverse clientele on a worldwide basis. Platinum operates through its principal subsidiaries in Bermuda and the United States. For further information, please visit Platinum's website at www.platinumre.com . This press release contains forward-looking statements within the meaning of Section 27A of the Securities Act of 1933 and Section 21E of the Securities Exchange Act of 1934. Forward-looking statements are based on our current plans or expectations that are inherently subject to significant business, economic and competitive uncertainties and contingencies. These uncertainties and contingencies can affect actual results and could cause actual results to differ materially from those expressed in any forward-looking statements made by, or on behalf of, us. In particular, statements using words such as "may," "should," "estimate," "expect," "anticipate," "intend," "believe," "predict," "potential," or words of similar import generally involve forward-looking statements. The inclusion of forward-looking statements in this press release should not be considered as a representation by us or any other person that our current plans or expectations will be achieved. Numerous factors could cause our actual results to differ materially from those in forward-looking statements, including, but not limited to, the occurrence of severe natural or man-made catastrophic events; the effectiveness of our loss limitation methods and pricing models; the adequacy of our ceding companies' ability to assess the risks they underwrite; the adequacy of our liability for unpaid losses and loss adjustment expenses; the effects of emerging claim and coverage issues on our business; our ability to maintain our A.M. Best and S&P ratings; our ability to raise capital on acceptable terms if necessary; our exposure to credit loss from counterparties in the normal course of business; our ability to provide reinsurance from Bermuda to insurers domiciled in the United States; the cyclicality of the property and casualty reinsurance business; the highly competitive nature of the property and casualty reinsurance industry; losses that we could face from terrorism, political unrest and war; our dependence on the business provided to us by reinsurance brokers and our exposure to credit risk associated with our brokers during the premium and loss settlement process; the availability of catastrophic loss protection on acceptable terms; foreign currency exchange rate fluctuation; our ability to maintain and enhance effective operating procedures and internal controls over financial reporting; the preparation of our financial statements requires us to make many estimates and judgments; the representations, warranties and covenants in our credit facilities limit our financial and operational flexibility; our ability to retain key executives and attract and retain additional qualified personnel in the future; the performance of our investment portfolio; fluctuations in the mortgage-backed and asset-backed securities markets; the effects of changes in market interest rates on our investment portfolio; the concentration of our investment portfolio in any particular industry, asset class or geographic region; the possibility that we may become subject to taxes in Bermuda after 2016; the effects that the imposition of U.S. corporate income tax would have on Platinum Underwriters Holdings, Ltd. and its non-U.S. subsidiaries; the risk that U.S. persons who hold our shares will be subject to adverse U.S. federal income tax consequences if we are considered to be a passive foreign investment company for U.S. federal income tax purposes; under certain circumstances, our shareholders may be required to pay taxes on their pro rata share of the related person insurance income of Platinum Underwriters Bermuda, Ltd.; U.S. persons who dispose of our shares may be subject to U.S. federal income taxation at the rates applicable to dividends on all or a portion of their gains, if any; holders of 10% or more of our shares may be subject to U.S. income taxation under the "controlled foreign corporation" rules; the effect of changes in U.S. federal income tax law on an investment in our shares; the impact of Bermuda's commitment to the Organization for Economic Cooperation and Development to eliminate harmful tax practices on our tax status in Bermuda is uncertain; the effect of potential changes in the regulatory system under which we operate; the impact of regulatory regimes and changes to accounting rules on our financial results, irrespective of business operations; the impact of the Dodd-Frank Act on our business; the dependence of the cash flows of Platinum Underwriters Holdings, Ltd., a holding company, on dividends, interest and other permissible payments from its subsidiaries; the risk that our shareholders may have greater difficulty in protecting their interests than would shareholders of a U.S. corporation; and limitations on the ownership, transfer and voting rights of our common shares. As a consequence, our future financial condition and results may differ from those expressed in any forward-looking statements made by or on behalf of us. The foregoing factors should not be construed as exhaustive. Additionally, forward-looking statements speak only as of the date they are made, and we undertake no obligation to revise or update forward-looking statements to reflect new information or circumstances after the date hereof or to reflect the occurrence of future events. For a detailed discussion of our risk factors, refer to Item 1A, "Risk Factors," in our Annual Report on Form 10-K for the year ended December 31, 2010. (a) Book value per common share is a non-GAAP financial measure as defined by Regulation G and is determined by dividing shareholders' equity by common shares outstanding of 37,330 and 37,758 at September 30, 2011 and December 31, 2010, respectively. * Segment underwriting income or loss and underwriting ratios are non-GAAP financial measures as defined by Regulation G. The underwriting ratios are calculated by dividing each item above by net premiums earned. SOURCE Platinum Underwriters Holdings, Ltd.